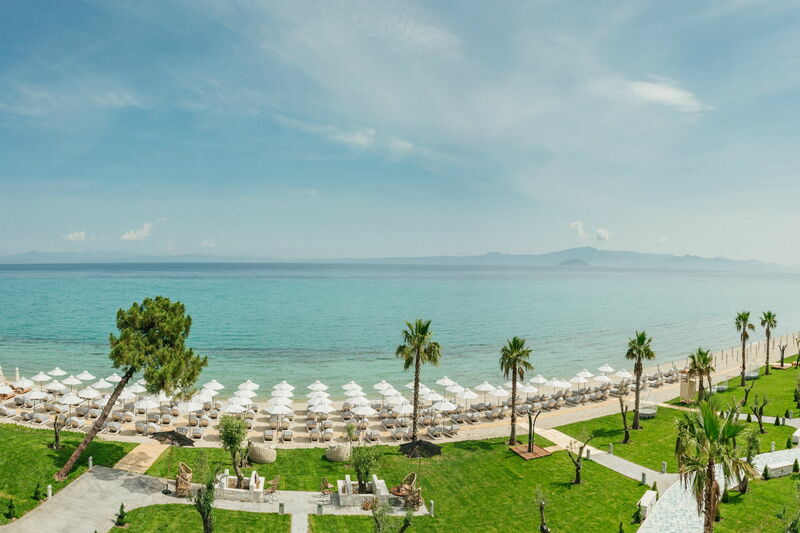 Luxury Suites by the waves, at Chalkidiki! 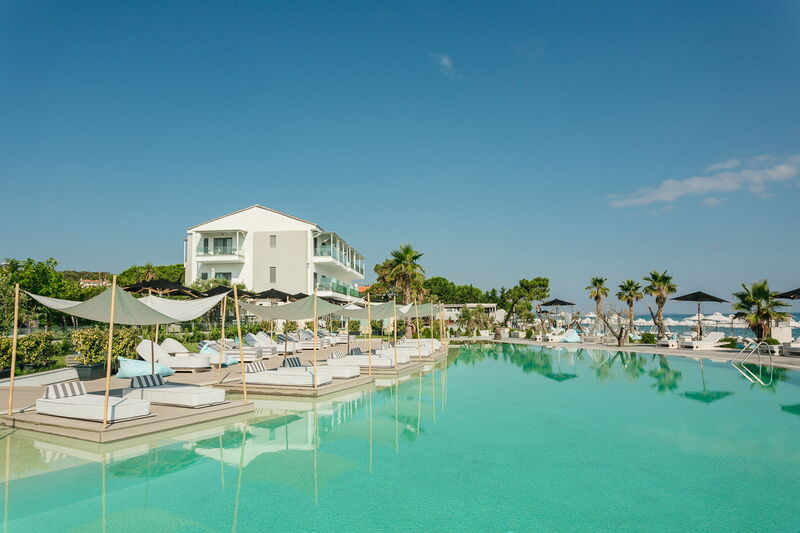 Our brand new suites constitute your ideal private shelter right next to the sea. Choose the one that fits you better from the 11 different and unique designs. Sense the ultimate gustatory journey with the unique creations of our expert Chef. Enjoy diverse cocktails and tasteful wines at the natural green environment of the hotel or your private suite. At Blue Carpet Luxury Suites we use the top technology that ensures personalized and flexible high quality services. A contemporary hotel that will change the way that you enjoy your vocations! Right in the center of Chalkidiki, at the most cosmopolitan area, Peukochori, only 1,5 km distance from the main square we created the ideal environment of relaxation and calmness for your summer vacation next to the ocean. Every suite was created with unique design from experts, based on your comfort. 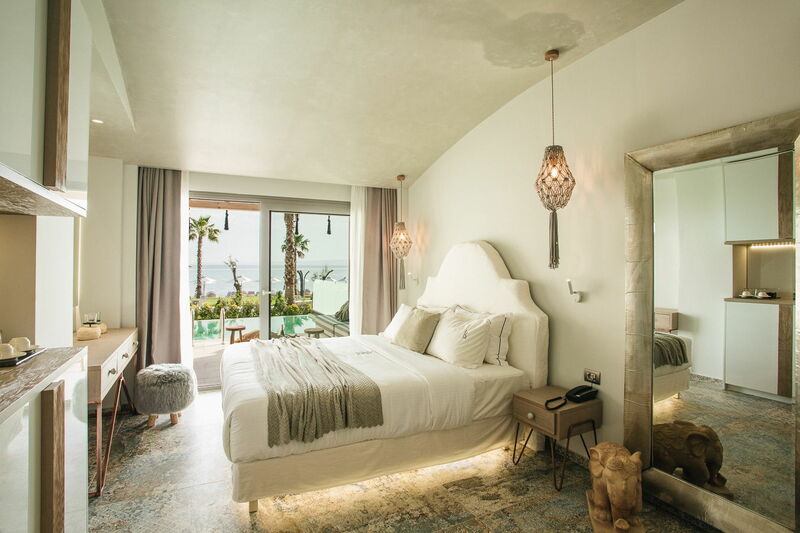 The minimal-bohemian style and the unique design of each suite will amaze you and your senses.